The hierarchical porous Fe2O3 particles as a novel ultraviolet light assisted heterogeneous Fenton catalysts were synthesized by bio-template synthesis method using iron nitrate as precursor at high temperature of around 550 °C. The hierarchical porous structured Fe2O3 was endowed with a large surface area and abundant pore volume, leading to the exposure of more active sites and rapid mass transfer. 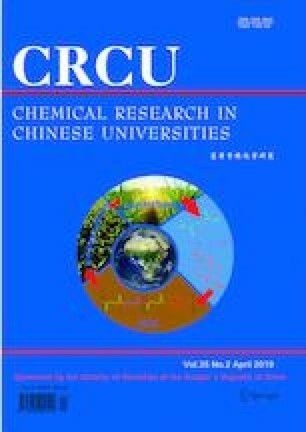 The synergistic effect of UV irradiation and hierarchical porous Fe2O3 improved the photo-degradation efficiency of Tetracycline(TC). The degradation efficiency of Fe2O3 catalyzing UV-Fenton system reached 97.4% after 60 min reaction, which was more substantial than Fe2O3 catalyzing Fenton system(7.6%) and UV/H2O2 system(59.2%). Moreover, the hierarchical porous Fe2O3 catalyzing UV-Fenton system exhibited an extremely wide pH range(from 3.0 to 9.0, from mildly acidic to slightly alkaline) for efficient degradation of TC. Simultaneously, the extraordinary higher degradation efficiency was based on 10 mmol/L H2O2 concentration, which was low requirement for H2O2. Further, the hierarchical porous Fe2O3 can be used for five consecutive cycles with over 95% of the original degradation efficiency. Ultraviolet light assisted heterogeneous Fenton reaction in the hierarchical porous Fe2O3 improved the •OH and O2 •‒production and Fe(III)/Fe(II) redox cycle, which consequently achieved an excellent degradation rate. Supported by the National Natural Science Foundation of China(No.6177030724).